athlete-mom | Move fast. Think slow. Moms Competing in the London Olympics! 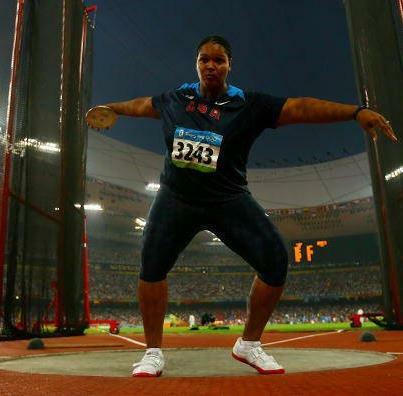 Aretha (Hill) Thurmond, 35, USA (Athletics-Discus). Aretha was a teammate of mine at the University of Washington and went to her first Olympics as a sophomore. She has a five-year old son, and London will be her 4th Olympic Games. Jessica Zelinka, 30, Canada (Athletics – Heptathlon, 100m Hurdles). Jessica was 4th at the Beijing Olympics in Heptathlon and now has a 3-year-old daughter. She recently set a Canadian record in the Heptathlon and is the current Canadian Champion in the 100m Hurdles, in which she will also compete in London. 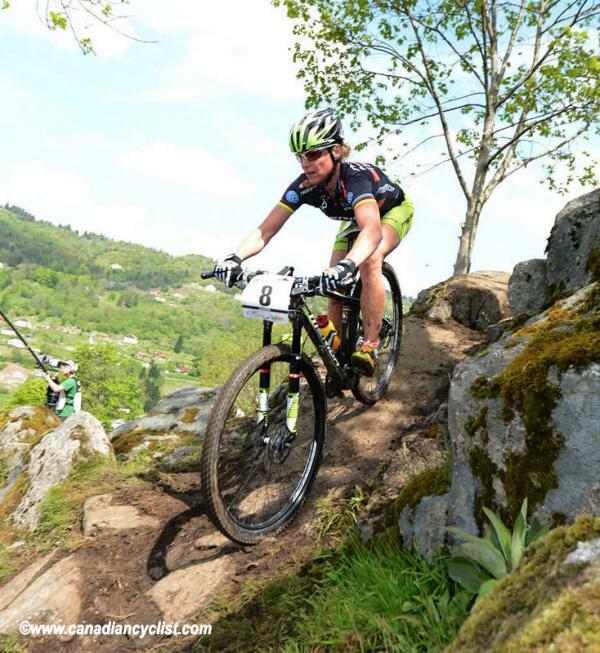 Gunn-Rita Dahle Flesjå, 39, Norway (Cross-Country Mountain Biking). Gunn-Rita won the cross-country gold medal at the 2004 Olympic Games and she is a multiple World Champion. She gave birth to her son in 2009 and won her first World Cup in four years in May showing she is in great form for her second Olympics! Kara Goucher, 34, USA (Athletics – Marathon). Kara is a long distance runner with an amazing career, she competed in the 10, 000 meters at the Beijing Olympics. Her son Colt was born in September, 2010. She will be competing in the marathon in London. Christine Rampone, 37, USA (Soccer). Christine plays defender as a member of the USA women’s soccer team. She has two daughters, ages 6 and 2. London will be her fourth Olympics! Kerri Walsh, 33, USA (Beach Volleyball). Kerri and her teammate, Misty-May Treanor were the gold medalists in the 2004 and 2008 Summer Olympics and have been called “the greatest beach volleyball team of all time!” Since Beijing she has given birth to two sons, ages 2 and 3! London will be her fourth Olympics! My favourite mommy fuel – Pancakes! Breakfast is definitely my favourite meal, and growing up I always looked forward to pancakes on the weekend – pancakes with maple syrup, pancakes with fruit and yoghurt on top, crepes with nutella and banana rolled up inside are all so yummy! In both pregnancies pancakes were what I craved most in the first few nauseated months. And maybe that is why 3 year old Zoe is also a pancake lover now! Thirteen month old Nico has also started enjoying bites of them as well. We make pancakes together in the morning at least 2-3 times per week. Sadly my husband, J-F is not a pancake fan so luckily I’ve produced some kids who are sharing my favourite food! I love mornings with the kids and the few mornings per week that no one has to rush out the door to be somewhere usually involves making pancakes. They are also great for an on the go snack when you’re in a hurry. Grab a pancake and slap some almond butter on top or roll a pancake up with jam and put in in your back pocket for a ride. I often make a double batch and freeze a bunch for the mornings that Zoe begs for pancakes and I don’t have time to make them. Maybe I’ll shove some in my back pocket to keep me fueled through the Furious 3 stage race that starts tomorrow! Whole Wheat Hotcakes from the Rebar Modern Food Book, also an amazing restaurant in Victoria, B.C. 1 egg, 1.5 cups buttermilk, 1 tbsp melted butter or vegetable oil, 1/2 tsp vanilla, 1/2 cup whole wheat flour, 1/2 cup unbleached flour, 4 tbsp wheat germ, 1 tsp baking powder, 3/4 tsp baking soda, 1/4 tsp salt….you know the drill, mix wet, mix dry, combine and cook! Oatmeal Pancakes from Healthy Mum, Happy Baby (a great book about eating well while breastfeeding with lots of fast, easy, healthy and delicious recipes). These pancakes are extra filling and will keep you feeling full for awhile! Combine 1 cup quick-cooking rolled oats, 1 cup plain yogurt, 1 cup 1% milk and 1 tbsp packed brown sugar and let sit 5 minutes. Whisk in 1 large egg and 1/4 canola oil. In separate bowl combine 1 cup all purpose flour, 1 tbsp baking powder, 1 tsp cinnamon, and 1/2 tsp salt. Combine with wet. Cook for about 1.5-2 minutes then flip and cook for 30-60 seconds longer. Last night we packed up our car almost to the max with two bikes on top, the double chariot in the back behind the kids with gear and bags everywhere in between. After a pit stop for dinner in Canmore and another one along the side of the highway for Nico to puke everywhere on top of me (ugh! carsickness or a random bug I’m not sure) we made it halfway to my next race venue and it is funny to think how much more orgnaization it has taken over the years to get to races as I’ve changed sports and now added kids to the fun! My pre-race checklist sure has expanded since I began competing as a runner in junior high! I will always love the simplicity of running. All you need to remember is your shoes, and running gear which is so easy to pack anywhere! Although on one memorable occasion at one cross-country race in University I did actually forget my race spikes and ran the entire 5 km with my feet swimming in larger spikes borrowed from a male teammate. When I got into mountain bike racing after finishing my undergrad degree, I was a little overwhelmed with all the new things I had to learn on top of just staying my bike and “keeping the rubber side down” as they say. I suddenly had to learn how to maintain a bike. Although I’m still not a very good mechanic I at least know the basics pretty well like fixing a flat, changing a tire, fixing a chain, and how to keep my bike clean so it was ready to go for race day! And then there is the gear to remember: helmet, glasses, gloves, extra tubes, tires for changing trail conditions, bike pump, CO2’s for race day, gels, and bottles for race day. Plus good race preparation involves riding the course and learning all the technical sections for race day, not just a short run with few strides like before my track races, ha! Doing Xterras and triathlons the gear list increased again to include swim gear, run gear, and “transition gear”, things you want to have on hand in the transition area between swim to bike and bike to run during the race like a towel, extra food and drink. And when you add babies and kids into race plan the usual mommy checklist has to be added as well! 1. The Chariot Carrier is great for getting around on rough ground at a race venue. Believe it or not, the single chariot can even be checked at the gate when boarding a plane. Or if you prefer you can pack it in a travel bag and check it. My double chariot when packed in the travel box is almost as big as my bike but it gets checked for free because it is a “stroller”! Otherwise, any stroller in which a little one can nap it works great! 2. The Ergo baby carrier is great for carrying a little one around at a race, on your front as a baby, and on your back up to 3 years old it is still very comfortable! JF has done some good cheering running around with Zoe or Nico on his front or on his back this way! 3. When I had to start paying for Zoe’s seat on the plane when she turned two years old I discovered a great gadget for wheeling her carseat to the gate called a go go babyz. It is a set of wheels that hooks on to the back of most carseats and easily unhooks to store in the overhead bins once on the plane. It is great for 2-3 year olds + who don’t stay in their seat on the plane very well. By bringing the carseat they stay put easier, and it makes it way easier if you have second little one on your lap! Its still fun to see the looks we get at the airport when showing up with a bike box, the double chariot travel bag, a couple of car seats, and suitcases – I could probably write another entire post on airplane adventures with kids, ha! I just finished a great read called The Happiness Project by Gretchen Rubin. In the first chapter she lists her personal, “Secrets of Adulthood”, one of which is the title of this post. It stuck out to me as a good motto that applies to many aspects of being a mom and trying to keep in shape. 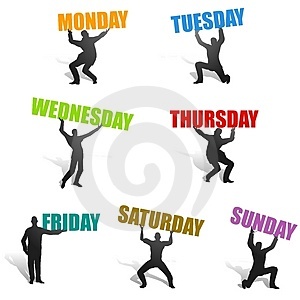 Similarly, by committing to exercise every day you’ll get many more benefits than if you’re just a weekend warrior. I’m working on applying this rule to core workouts and physio exercises. I’m lucky to remember to do core work more than once a week, but even just getting down on the floor for 5 minutes a day of exercises I’d be way farther ahead than I am now! Finally, I’m trying to follow this motto in writing this blog. I’ve had many ideas of things to write about related to motherhood, mental performance, training, competing etc floating around in my head for some time. I’ve tried taking notes in a book but the books always eventually get stolen by Zoe and turned into coloring books. So I’ve finally had the AHA moment to get my ideas down and categorizing my random thoughts through a blog. And here I am on post number 6, and plan to write a little bit each day until I run out of “Deep Thoughts by Danelle” which I don’t think will be anytime soon….ha ha….